The Wumpus World! 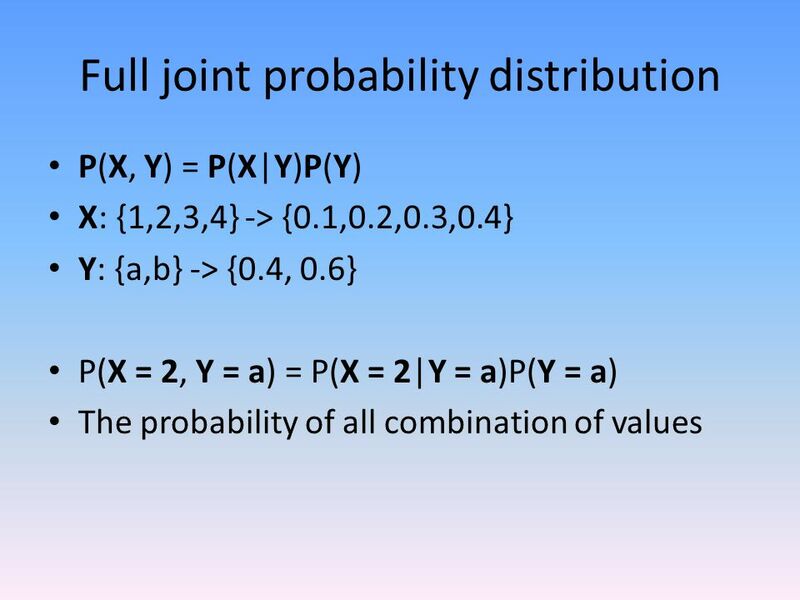 2012 级 ACM 班 金汶功. 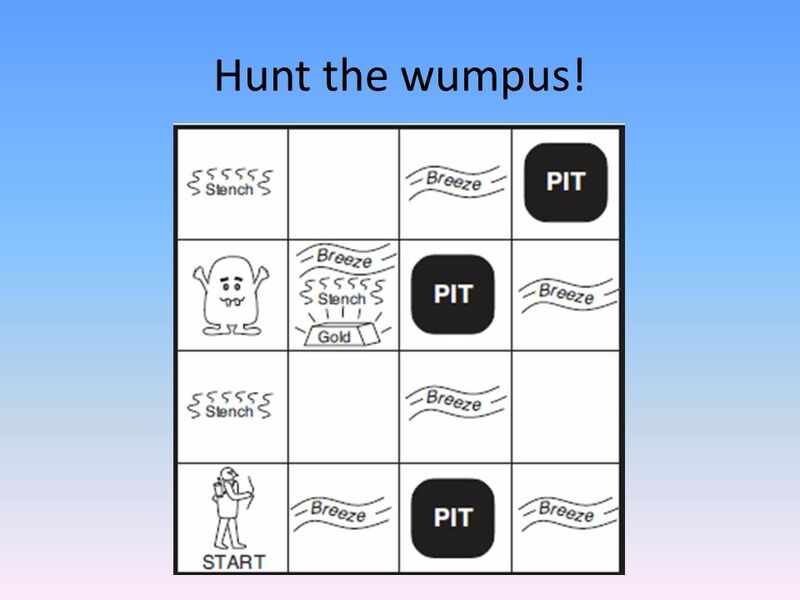 Hunt the wumpus! 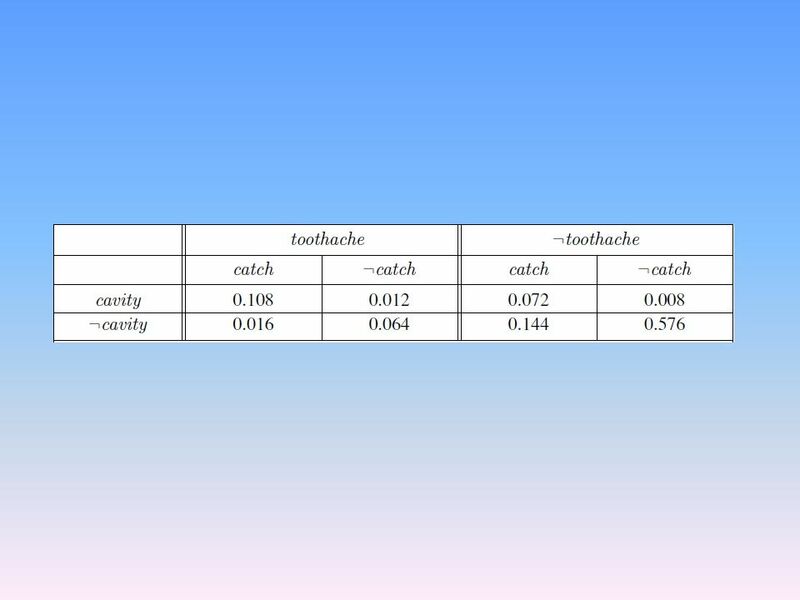 11 Drawbacks Model checking is NP-complete Knowledge base may tell nothing. 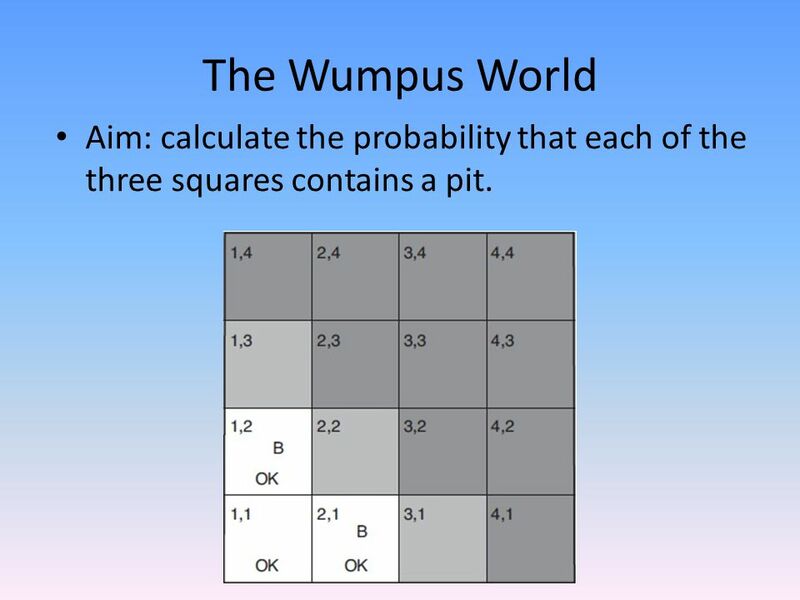 16 The Wumpus World Aim: calculate the probability that each of the three squares contains a pit. 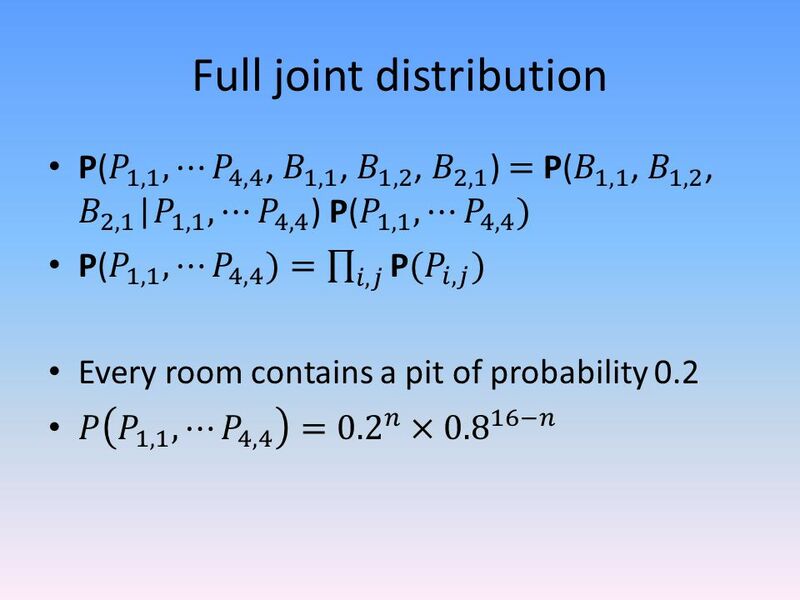 18 How likely is it that [1,3] has a pit? 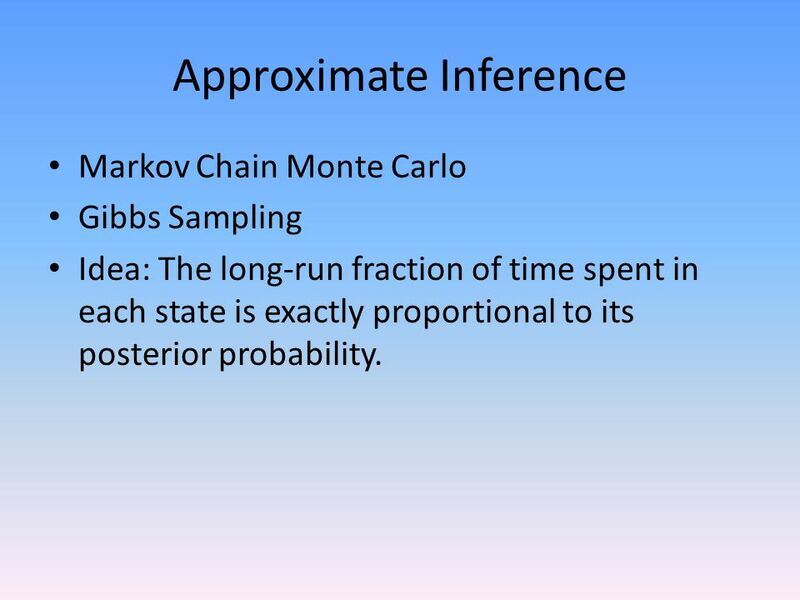 30 Approximate Inference Markov Chain Monte Carlo Gibbs Sampling Idea: The long-run fraction of time spent in each state is exactly proportional to its posterior probability. 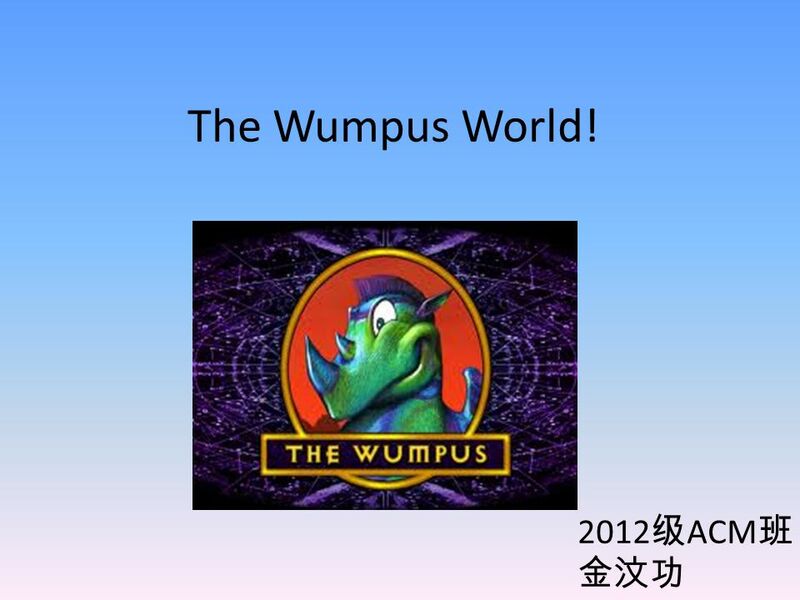 Download ppt "The Wumpus World! 2012 级 ACM 班 金汶功. 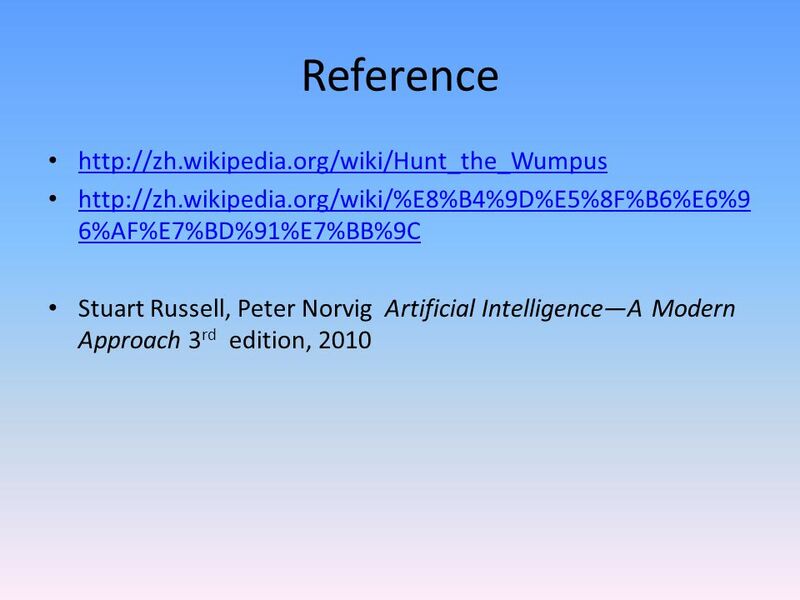 Hunt the wumpus!" 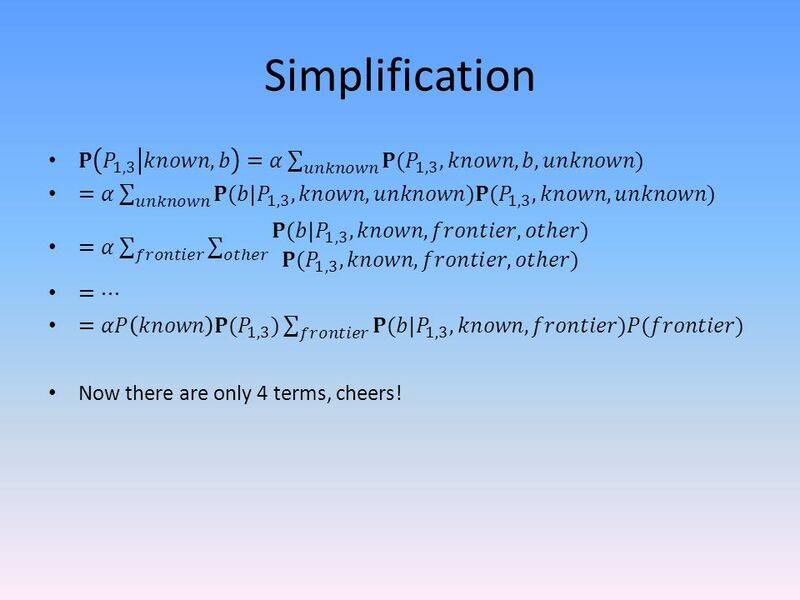 BAYESIAN NETWORKS Ivan Bratko Faculty of Computer and Information Sc. University of Ljubljana. 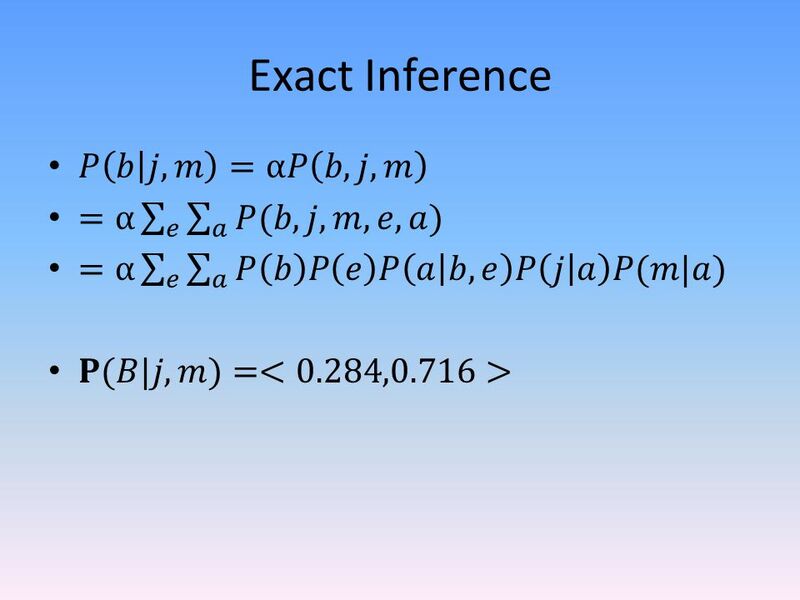 Agents That Reason Logically Copyright, 1996 © Dale Carnegie & Associates, Inc. Chapter 7 Spring 2004. 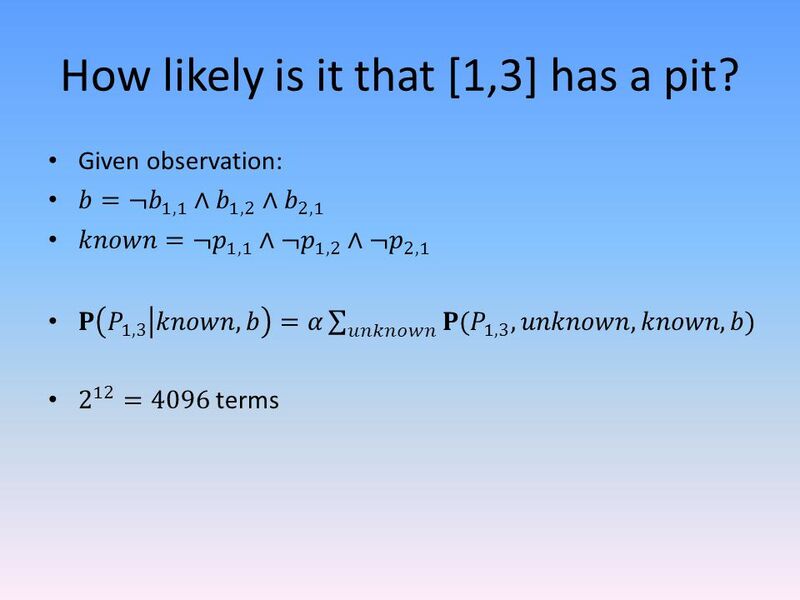 Logic CPSC 386 Artificial Intelligence Ellen Walker Hiram College. 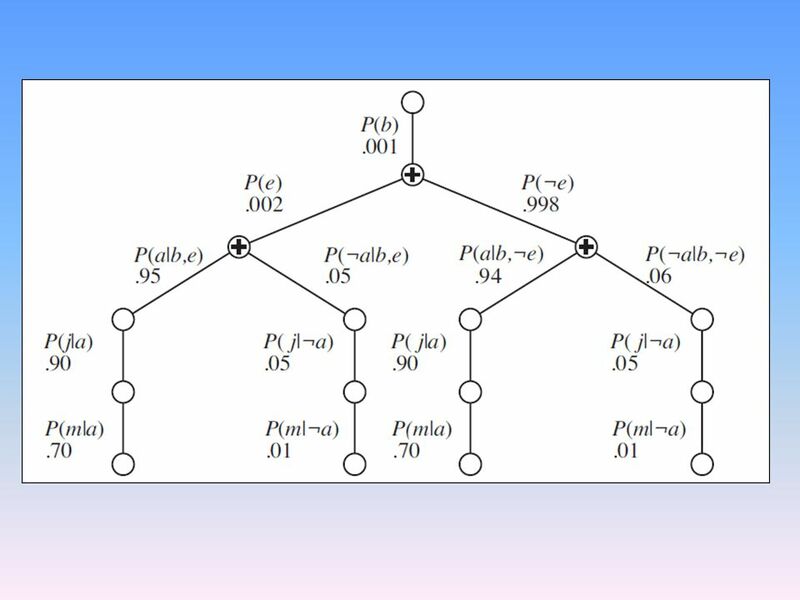 BAYESIAN NETWORKS. 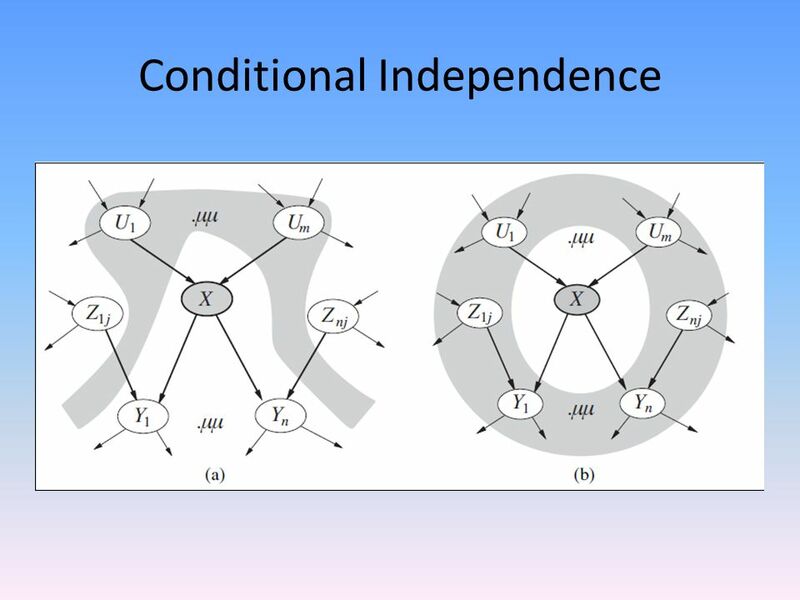 Bayesian Network Motivation  We want a representation and reasoning system that is based on conditional independence  Compact yet. 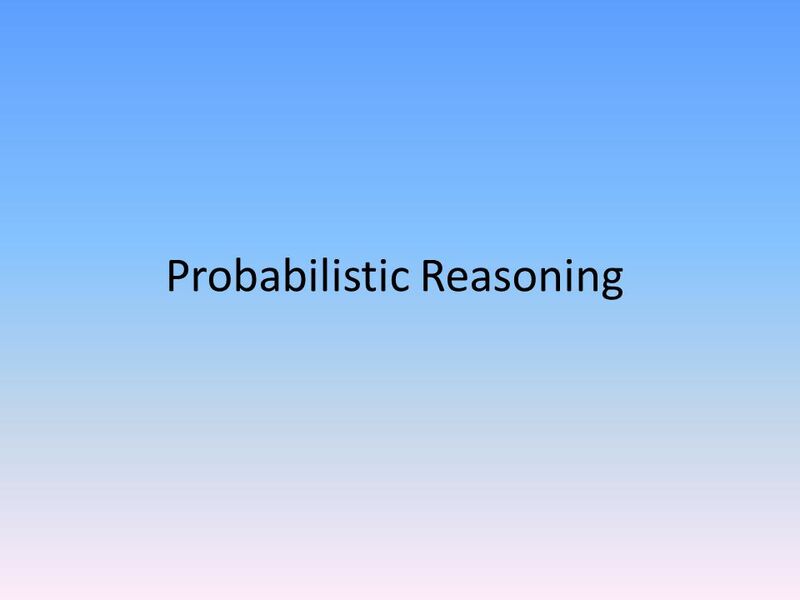 3/30/00 Agents that Reason Logically by Chris Horn Jiansui Yang Xiaojing Wu. 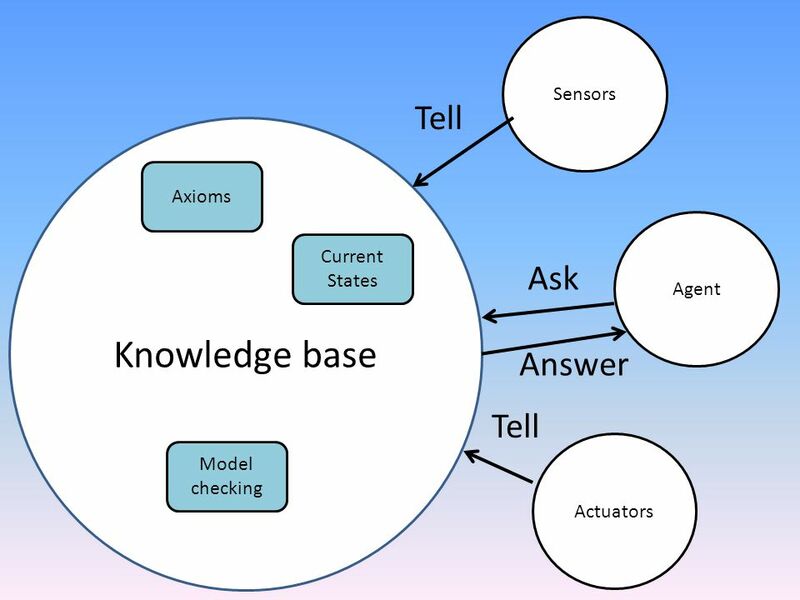 Artificial Intelligence Knowledge-based Agents Russell and Norvig, Ch. 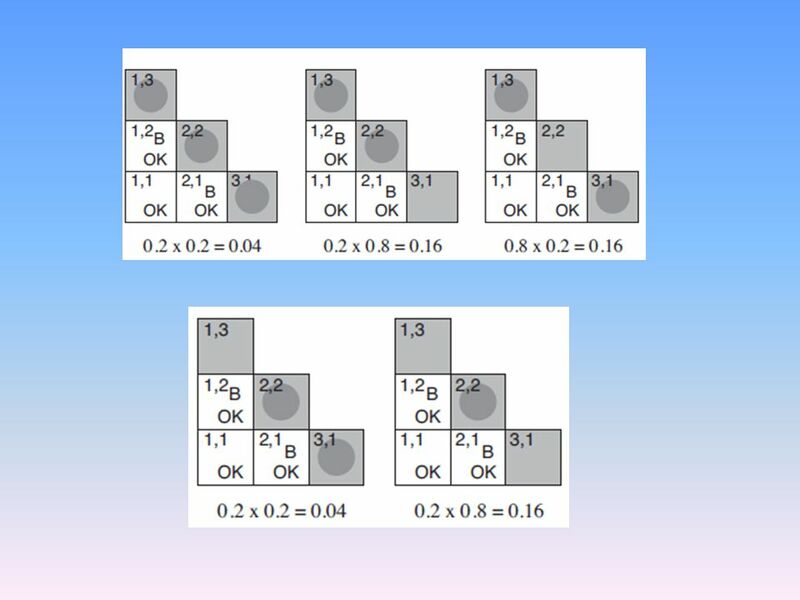 6, 7. 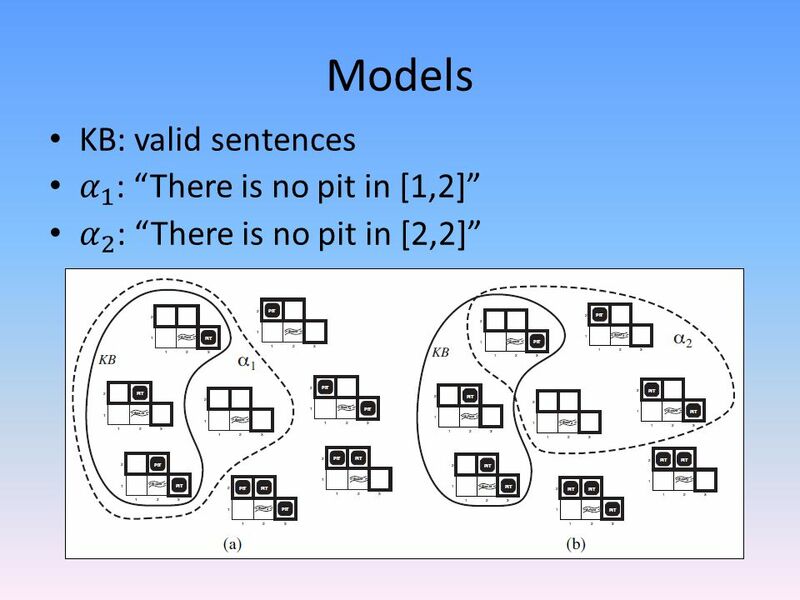 Proof methods Proof methods divide into (roughly) two kinds: –Application of inference rules Legitimate (sound) generation of new sentences from old Proof. 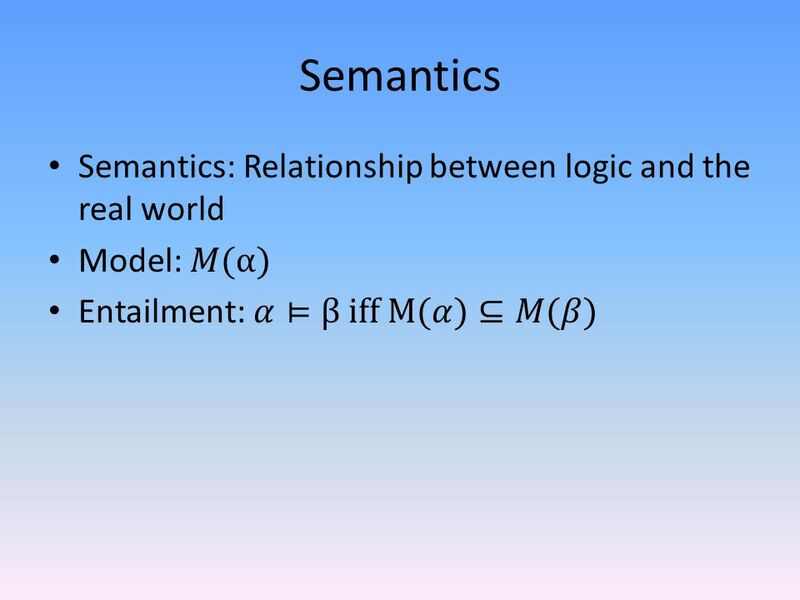 Logic in general Logics are formal languages for representing information such that conclusions can be drawn Syntax defines the sentences in the language. 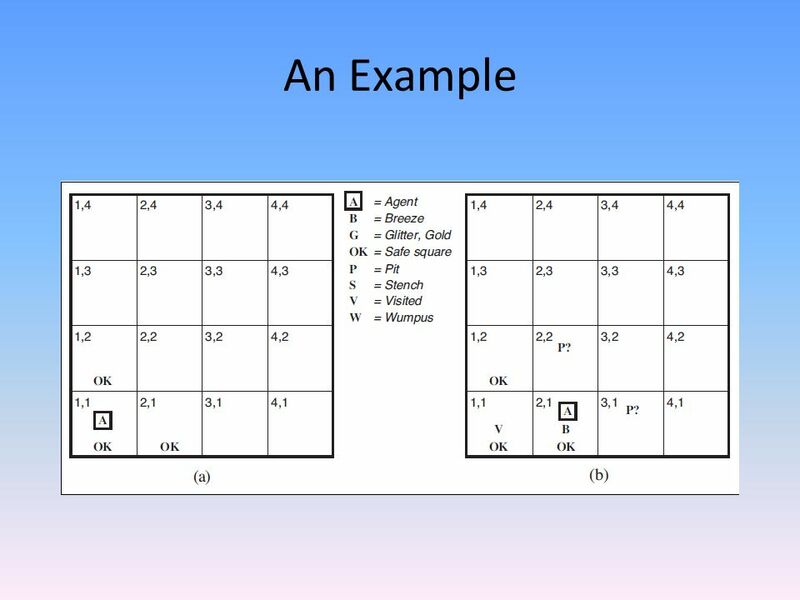 Logical Agents Copyright, 1996 © Dale Carnegie & Associates, Inc. Chapter 7 Fall 2005. 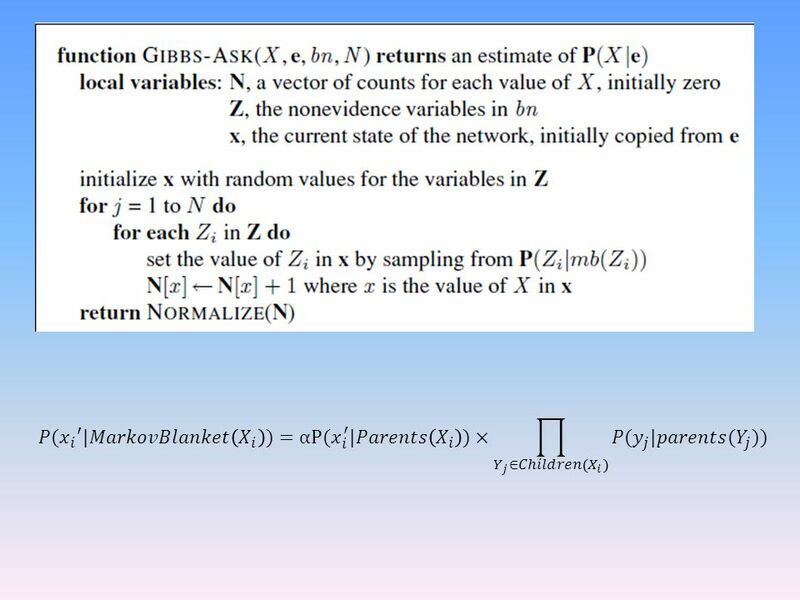 Class Project Due at end of finals week Essentially anything you want, so long as its AI related and I approve Any programming language you want In pairs. Logical Agents Chapter 7. 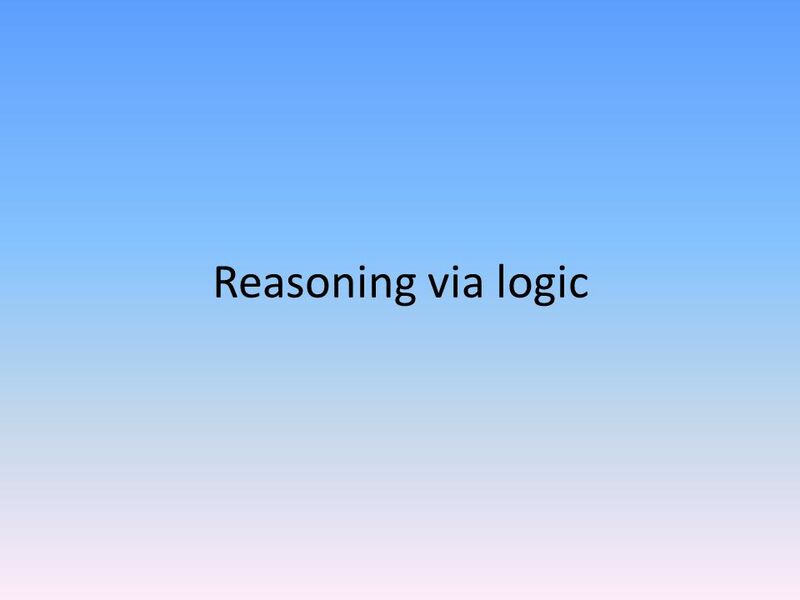 Why Do We Need Logic? 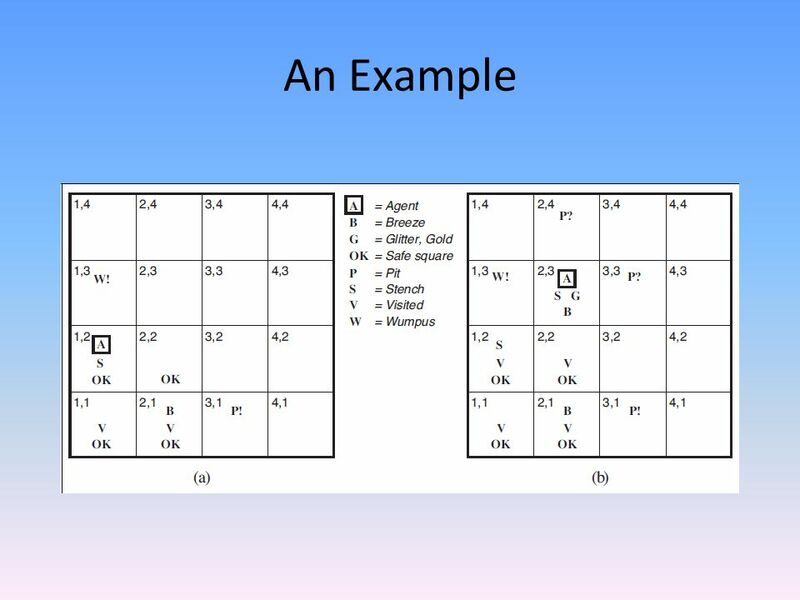 Problem-solving agents were very inflexible: hard code every possible state. 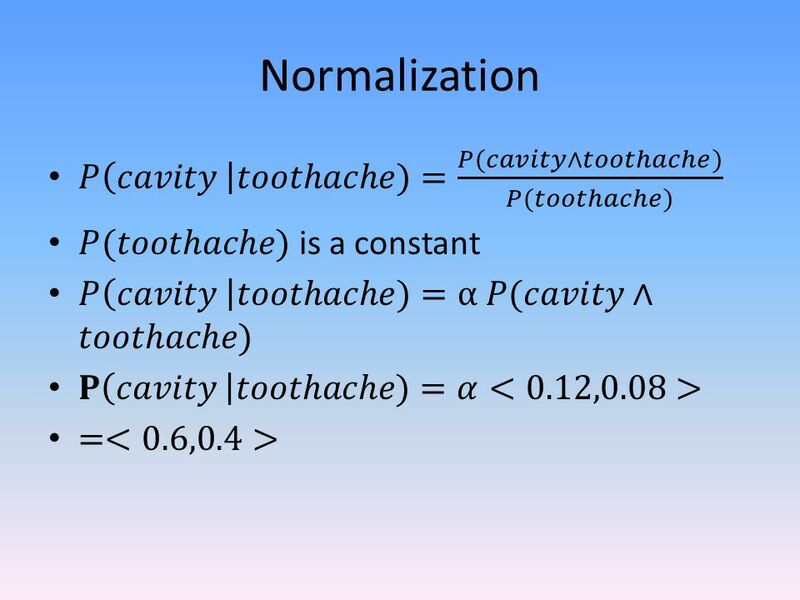 Search is almost always exponential. 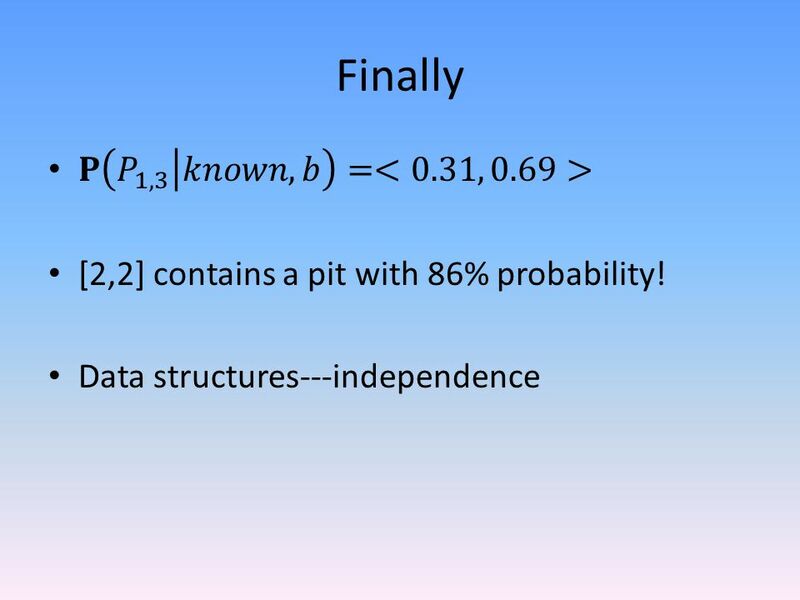 Computing & Information Sciences Kansas State University Lecture 11 of 42 CIS 530 / 730 Artificial Intelligence Lecture 11 of 42 William H. Hsu Department. 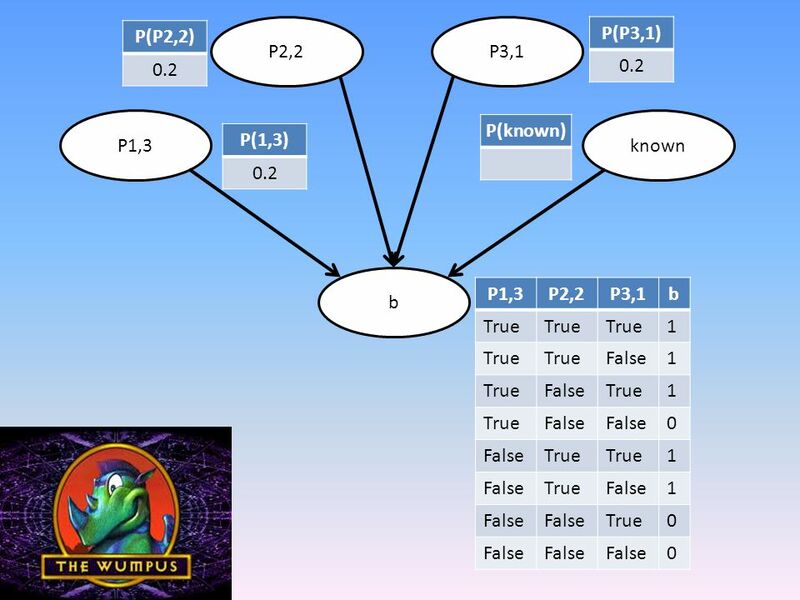 Knowledge in intelligent systems So far, we’ve used relatively specialized, naïve agents. 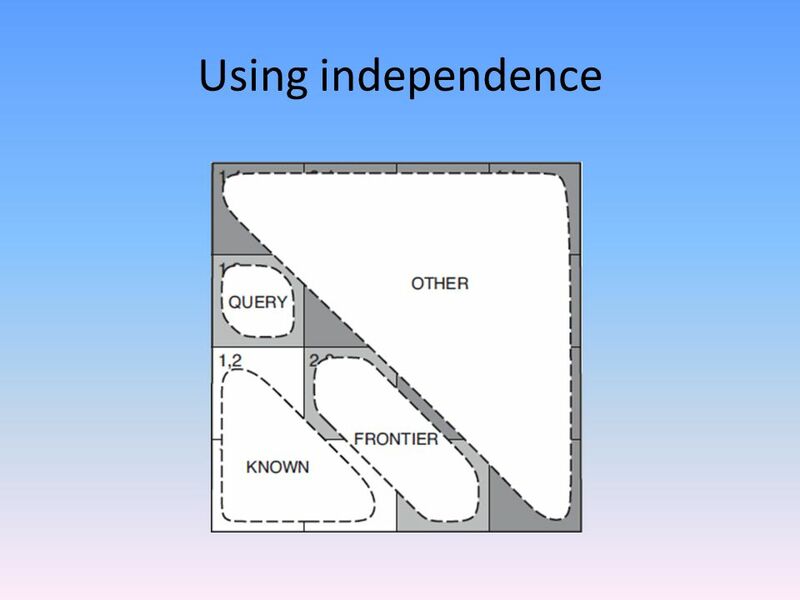 How can we build agents that incorporate knowledge and a memory? 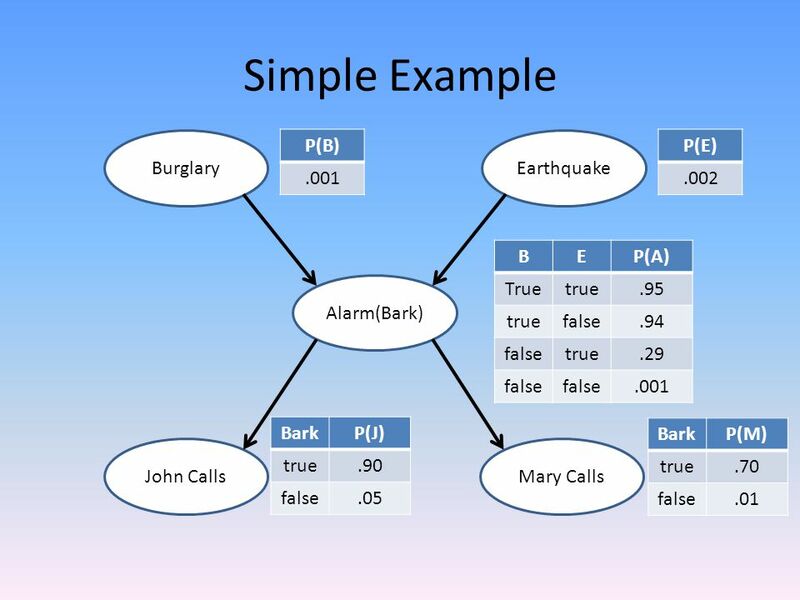 Bayesian Networks. 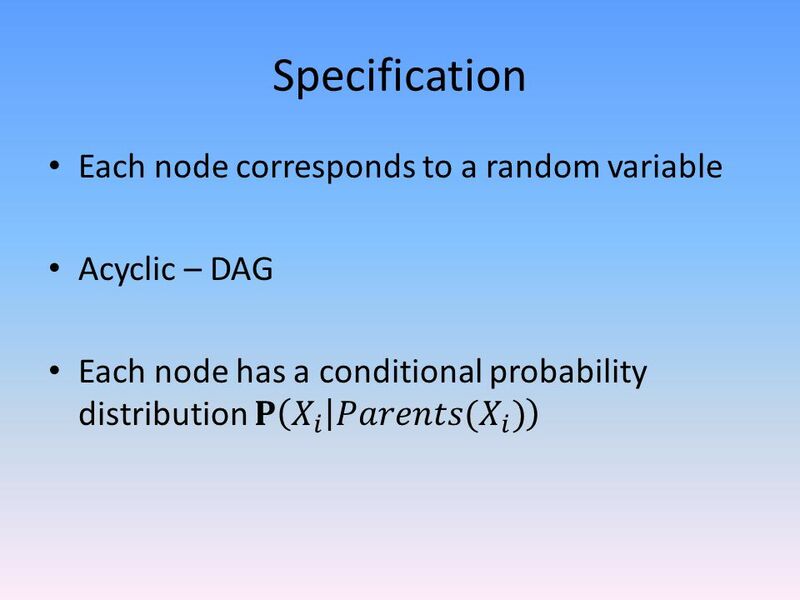 Graphical Models Bayesian networks Conditional random fields etc. 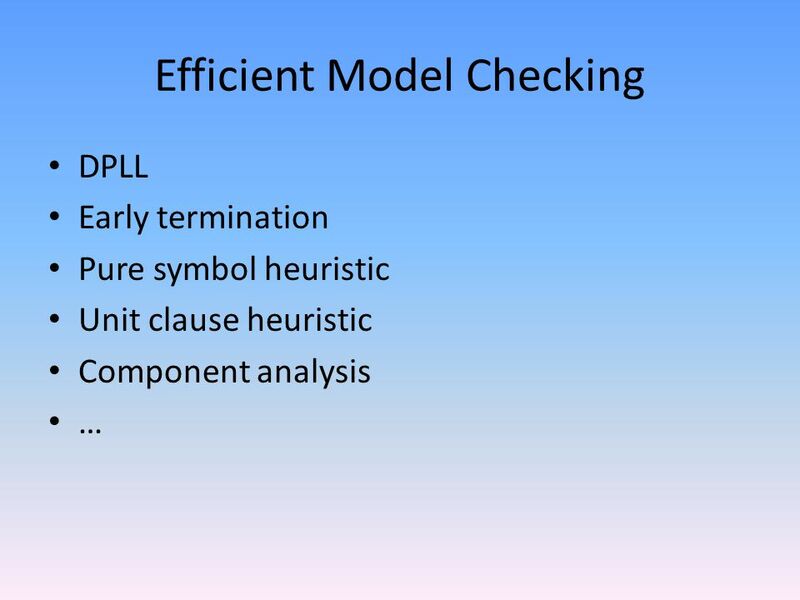 Carla P. Gomes CS4700 CS 4700: Foundations of Artificial Intelligence Carla P. Gomes Module: Intro to Logic (Reading R&N: Chapter. 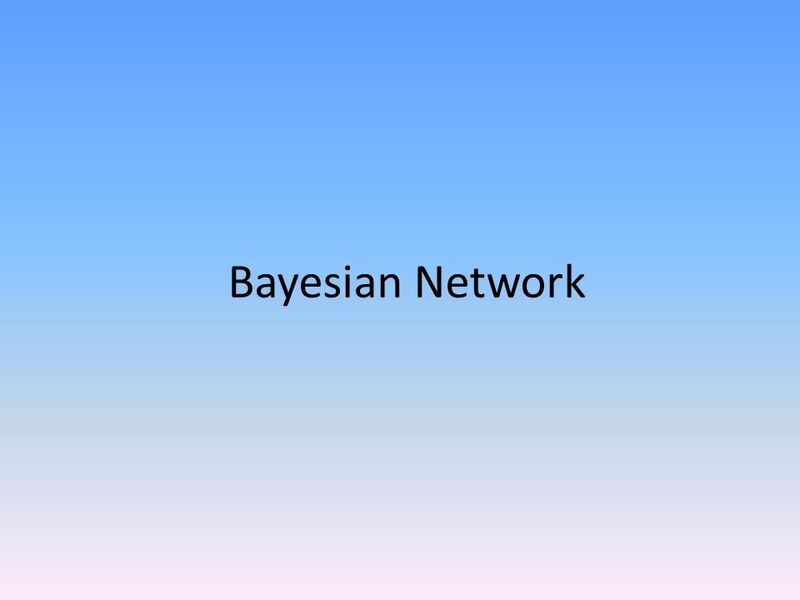 Part 2 of 3: Bayesian Network and Dynamic Bayesian Network.